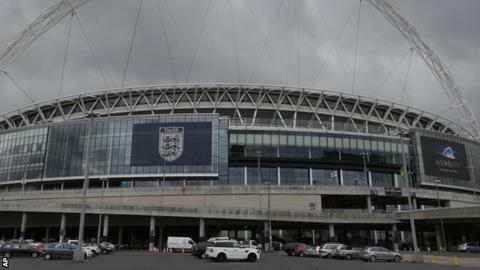 A referee has been arrested on suspicion of hacking the accounts of a colleague at the Football Association. Dean Mohareb, 29, was also questioned over allegations he passed the information to the media. The senior member of the FA's referee department was arrested on Sunday at his home by Greater Manchester Police. He was due to referee the Championship match between Barnsley and Peterborough on Tuesday night but was stood down after his arrest. A police spokesman confirmed a 29-year-old man had been bailed on suspicion of unauthorised access to computer material/data and disseminating private information. The arrest is said to be connected to a police investigation into the hacking of personal and work emails belonging to Janie Frampton, the FA's former National Referee Manager for Education and Training. Ms Frampton - an FA employee for 10 years - was suspended and then dismissed from her post after confidential information was leaked to the press. She is appealing against the decision to sack her. Mohareb is currently the FA's national referee development manager and a Football League referee. The Professional Game Match Officials appointed Carl Boyeson to referee the Barnsley-Peterborough match at 15:00 BST on Tuesday.